A new six-story, 210,000-square-foot hospital connected to the existing St. Alexius Medical Center (now part of AMITA Health) houses a full range of specialty care for pediatric patients, their parents, siblings, and other support networks. An associated renovation in the existing building includes new operating rooms and PACU. The combined project had a budget of $125 million. 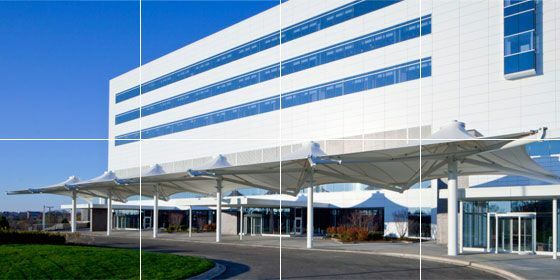 Four 50,000-cfm variable air volume hospital-grade custom air handling units (AHUs) located in the third-floor mechanical room. The air distribution systems include individual VAV terminal units and reheat coils for every patient room, and a ducted return system. Perimeter heat via heating hot water radiant ceiling panels. Renovated PACU and new operating rooms serviced by a new surgery-grade rooftop AHU. Specialty exhaust systems, including an isolation room exhaust system with bag-in/bag-out HEPA filters and a pharmacy chemotherapy hood exhaust system. Gas-fired make-up AHUs providing stairwell pressurization for this high-rise building. Chilled water for the AHU cooling coils piped from the high-efficiency variable-primary flow central chilled water plant. Steam from the central plant generating heating hot water for two heating loops (for perimeter radiant heat and reheat via four steam-to-hot-water heat exchangers). Central plumbing services include a new incoming water service from dual 10-inch water lines with a triplex domestic water booster pump package, with domestic hot water generated by three semi-instantaneous steam-fired hot water heaters. 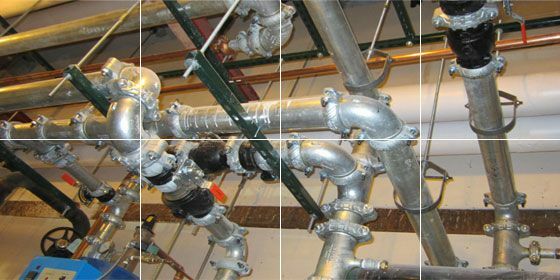 Domestic hot and cold water is distributed with a floor-by-floor horizontal distribution system from centrally located risers. The pediatric intensive care unit includes combination water closet / lavatory units in each room.